Napoleon Bonaparte, the French statesman and military leader, remains a polarizing figure to this day. History is truly divided on whether this man was a military genius, or simply a greedy warlord who overplayed his hand, leading to the ruin of France and his own exile. However, few can match Napoleon’s success on the battlefield. He is arguably the world’s greatest practitioners of war, reinforced through a neat study that used the “Wins Above Replacement (WAR)” statistic first introduced and popularized by baseball sabermetrics. According to the study, Napoleon commanded at an astonishing 43 total battles; winning 38 and losing 5. His total WAR ranks him #1 among all the conquerors and Generals of history. This background serves to reinforce what will be set-forth in this article – Napoleon is a man we can all learn from. Like Genghis Khan, George Washington, Alexander the Great, or any other transcendent military figure, there is much to be gained from analyzing their thoughts and actions. Napoleon lived by a certain code of morals and standards which undoubtedly contributed to his success as a military commander, propagandist, and politician. In fact, he developed and implemented France’s civil codes in 1804, which were adopted by many other countries outside Europe (and are still in use today). Most countries’ laws were made to oppress the unfortunate and to protect the powerful. The superior man is impassive: praise him or condemn him, he always carries on. The ambition to dominate minds is the strongest of all passions. The men who have changed the universe never achieved this by addressing themselves to the leaders, but by stirring the masses. The former method is just intrigue, and only generates secondary results. The latter method is the way of a genius, and changes the face of the world. Bravery is an innate quality: it cannot be acquired, it stems from the blood. Courage comes from thought; bravery is often merely restlessness in the face of danger. The foremost quality of a soldier is his capacity for withstanding fatigue; courage only comes second to this. Hardship and misery are the soldier’s true teachers. At war, audacity is genius’s most splendid calculation. Woe betide the general who comes to the battlefield with a system. Equality exists only in theory. The people will never choose true legislators. Good politics is making the people believe that they are free; good government is making them happy according to their wishes. The torment of precaution is worse than the dangers it seeks to avoid: it is better to abandon yourself to destiny. Books lead to too much reasoning for them to avoid corrupting a nation by getting it out of the habit of action. Money is more powerful than despotism. Fools speak of the past, wise men of the present and madmen of the future. Madness is characterized by the discrepancy between visions and faculties. Wealth does not consist in the possession but in the use of treasure. Laws that are clear in theory are often chaotic in their application. What is called natural law is nothing but the law of interest and reason. When ruling you must govern with the head, never with the heart. The fool has a great advantage over the man of intellect: he is always pleased with himself. In the realm of imagination as well as that of calculation, the power of the unknown is immeasurable. Death is sleep without dreams, and perhaps without an awakening. Physical faculties are sharpened and enlarged in the midst of peril and need. Inspiring confidence before success is the most difficult political task. He who at any moment stands to lose everything must risk everything at any moment. Governments with checks and balances are only good during peacetime. Happiness depends on events, bliss depends on affections. Constant devotion is the rarest thing in the world. Superstition is the legacy left by one century’s clever people to the fools of the future. Every age confers another role on us. If you are a successful conqueror, you must be ferocious. I never wanted to shape events around my system, on the contrary: I shaped my system around the unforeseen combination of events. 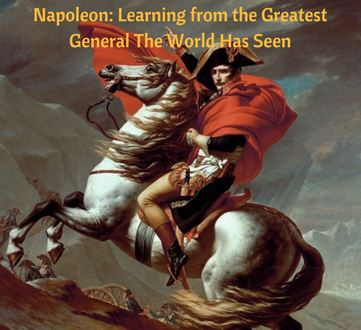 Over 200 years have passed, but Napoleon’s insights into human nature, politics, leadership, and military strategy are not only relevant today, but still widely taught and circulated in both schools and military academies. Each of these maxims can be applied to your life, especially if you are dealing with struggle, uncertainty, chaos, or outright dismay. Remember: Life is an uneven, chaotic adventure. To truly master yourself, you must be willing to seize on opportunities and embrace failure. Napoleon championed the underdog mentality, and always thought he would come out victorious, even when faced with bleak odds of success. To never give up, even when all hope seems lost, is the most crucial trait you can acquire.